OK, We have a wonderful soap that needs a name… It is a blend of olive, coconut and palm oil, blended with double strength lemon essential oil, cornmeal, and ground comfrey leaves. 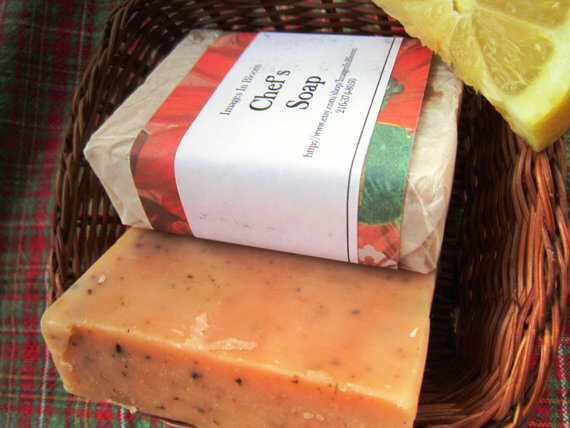 The soap is a cold process/oven processed soap which is fully cured in 24 hours. The soap has a deep yellow orange color, with a zesty scent of lemon. We have been testing it out at our home and it is wonderful in the kitchen, especially for the cook who chopped onions, or worked with strong smelling foods. We initially called it Chef’s Soap but it is not selling and we are certain it is the name that is causing this. We are looking for suggestions for naming the soap…. so dig deep and think with us about what you would name the soap. One winner will be chosen on August 18th, and you will be contacted to determine what 3 bars of soap you would like. We will ship them to you at no cost. The soap is a $16 value… such fun for the lucky winner. Or leave a comment to this post below. Or send me an email with your recommended name. Simply click on the email address listed here and an email form will open. I tried to email you, Barb, but it wouldn’t let me. I suggested Tropical Oasis. All of the ingredients remind me of a tropical isalnd.